Save operational costs and take advantage of our operational flexibility. Focus on your strategy, while saving costs and time! 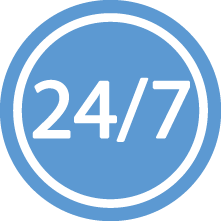 Rely on our 24/7 dispatching team to run your operations. Our 24/7 team acts as a neutral and independent service provider. The strategy remains yours – we act on your behalf. Every eZ-nergy scheduler is a certified trader and has significant expertise in trading and logistics on European power and gas markets. Our team will balance your power and gas portfolios, nominate your positions, handle potential mismatch situation and make sure that your strategy runs smoothly. We can also manage your generation assets scheduling and handle unexpected outages. Our team offers services out-of-office hours, 24/7 or during tailor-made operation periods. You will benefit from our deep market knowledge and related operational processes.